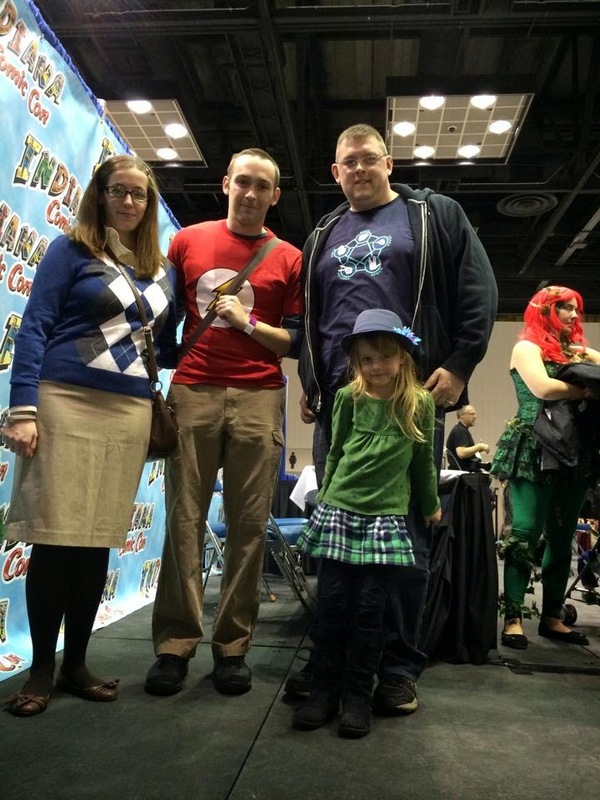 This weekend my family and I went to the Indiana ComicCon. You know what that is, right? It's when all the nerds join together to take over the world! 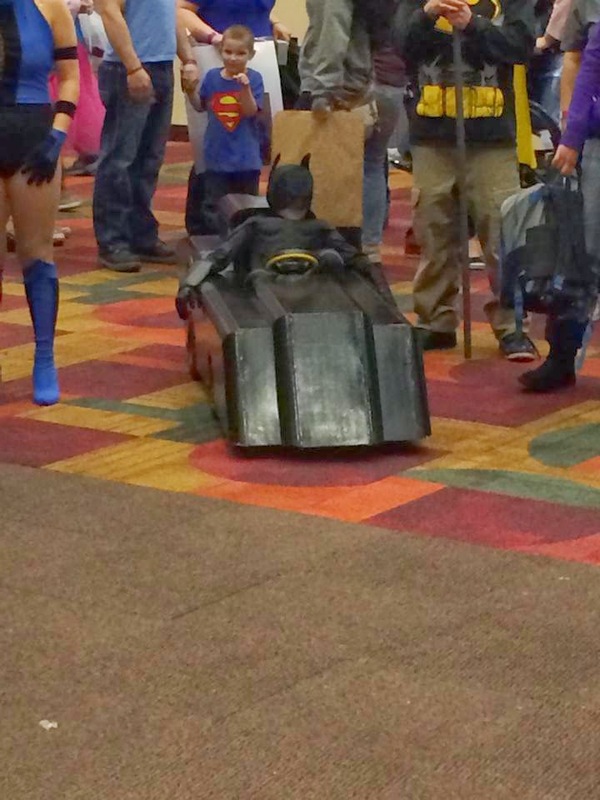 But seriously, lovers of video games, comics, and superheroes all come to these types of conventions and are free to be themselves. 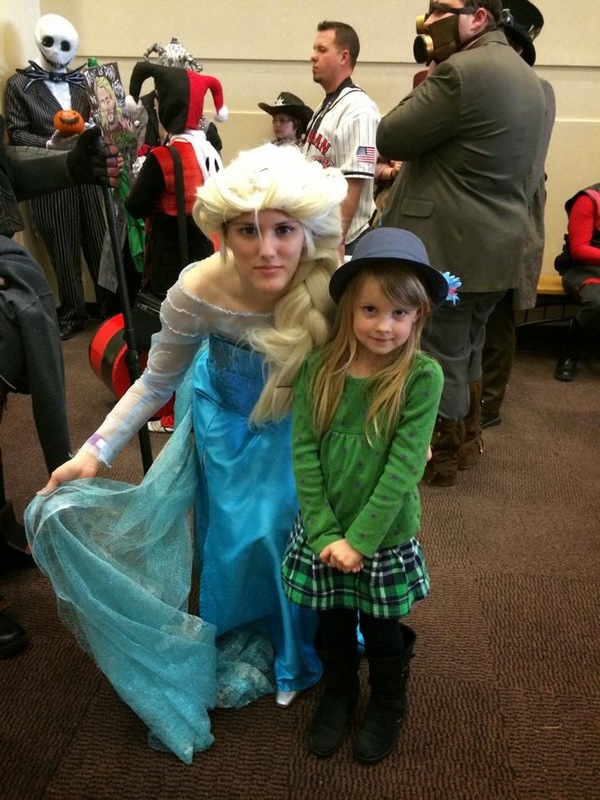 Or themselves dressed up as their favorite character anyways. 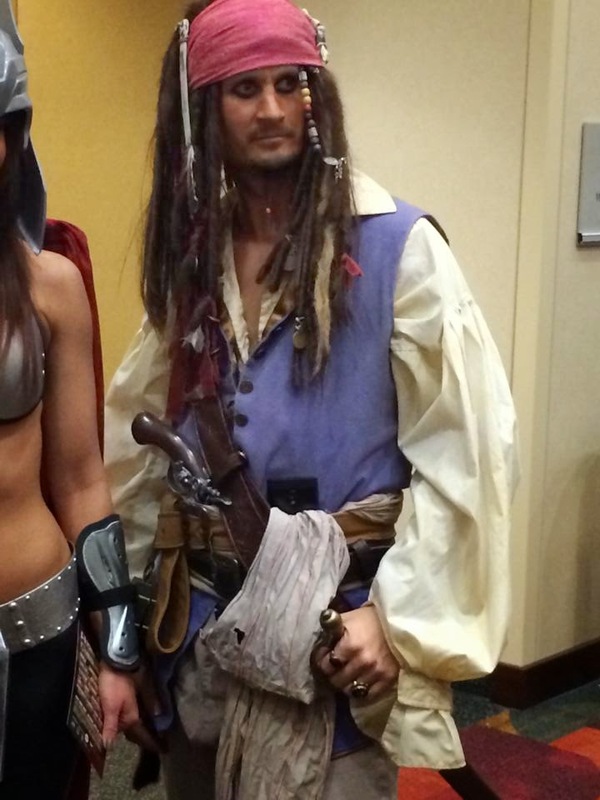 I bought my husband tickets to go to this convention for his birthday. 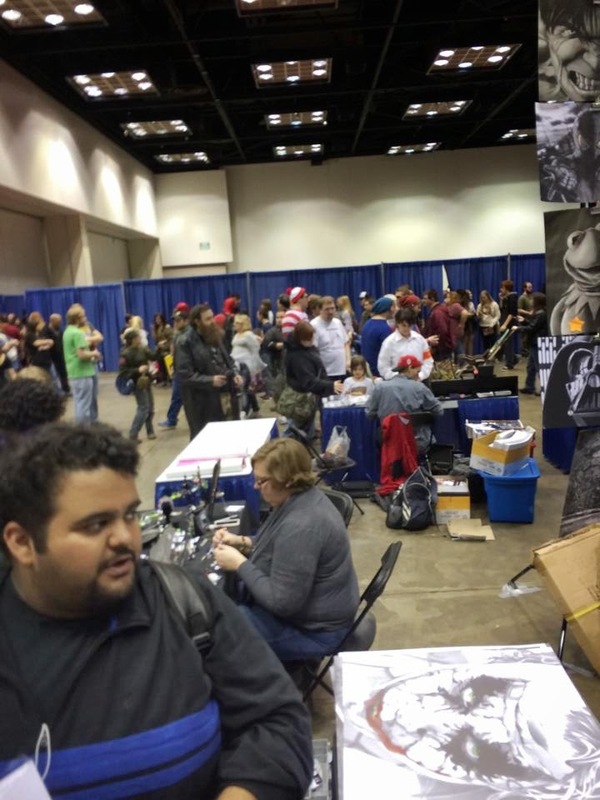 It was the first year Indiana has put on a ComicCon, and it was quite evident. 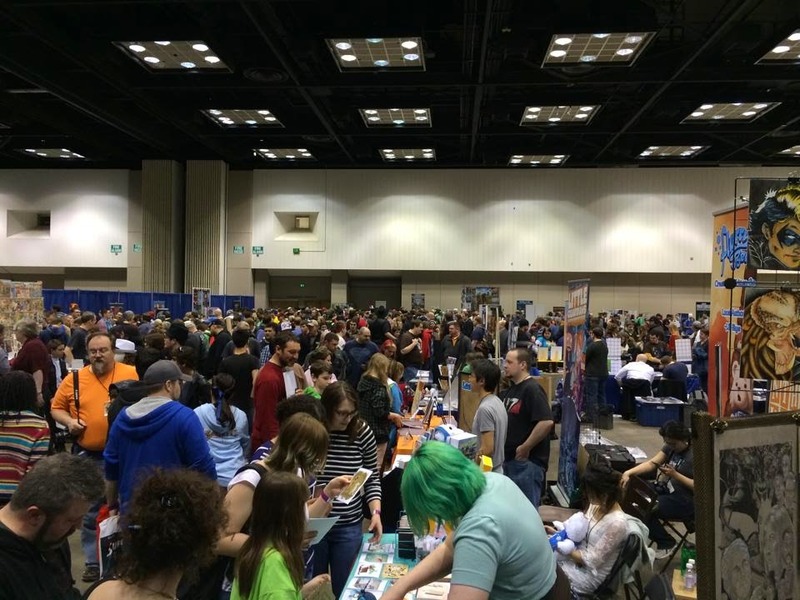 They had planned for about 6,000 people on Saturday, but turns out there were a lot more nerdy people in Indiana then they planned. There was 15,000 people in that small space, and they still had to turn people away when they ran out of tickets, halfway through the day! 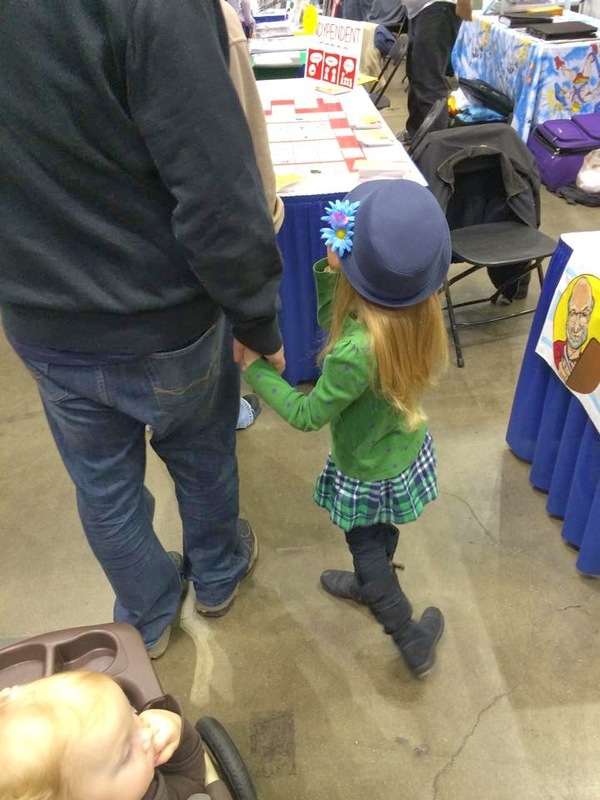 Anyways, aside from it being extremely crowded, which made navigating a stroller nearly impossible, we had fun seeing other attendees dressed up, as well as walking around to the different artists' tables. Lilly and Ashley were both very quiet while we were walking around. I think they were slightly overwhelmed with the crowd, and the fact that the crowd contained monsters and superheroes! 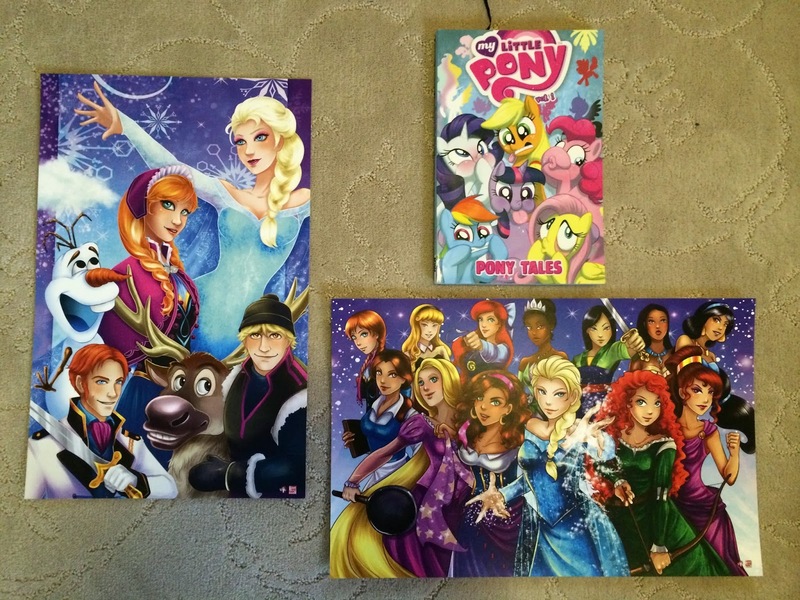 We only bought a few items, a couple pictures for both my husband and Ashley, as well as a My Little Pony Comic Book for Ashley, signed by one of the artists. After walking around the vendor/artists booth area, we went to one of the Q & A Panels, with Even Peters (American Horror Story). As Ashley read her book, and Jason listened to him answer questions from the audience, I went out and waited in line for the Cosplay costume contest. It was Jason's bday present afterall. I'd do the waiting, while he did the watching. 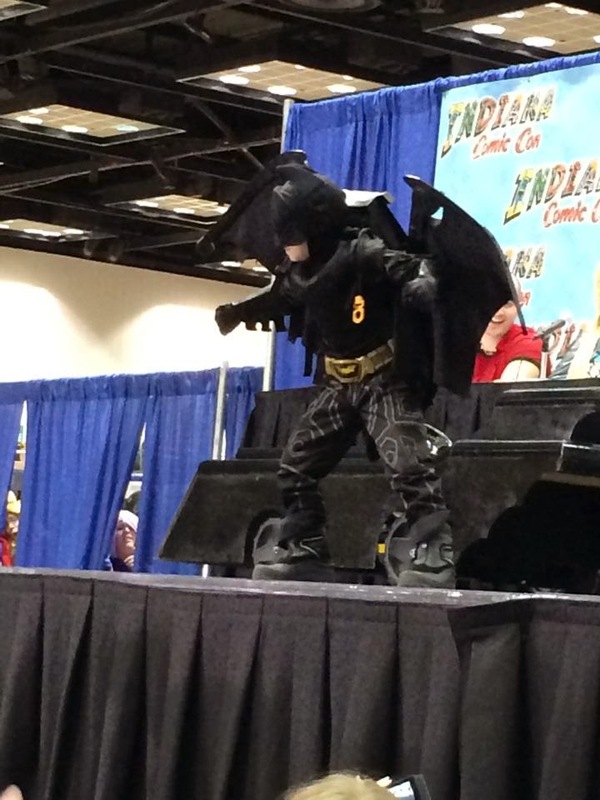 The Costume contest was fun to watch. They had a youth and an adult competition. There were some who spent maybe 10 minutes on their costume along with getting ready, and some that may have taken days. 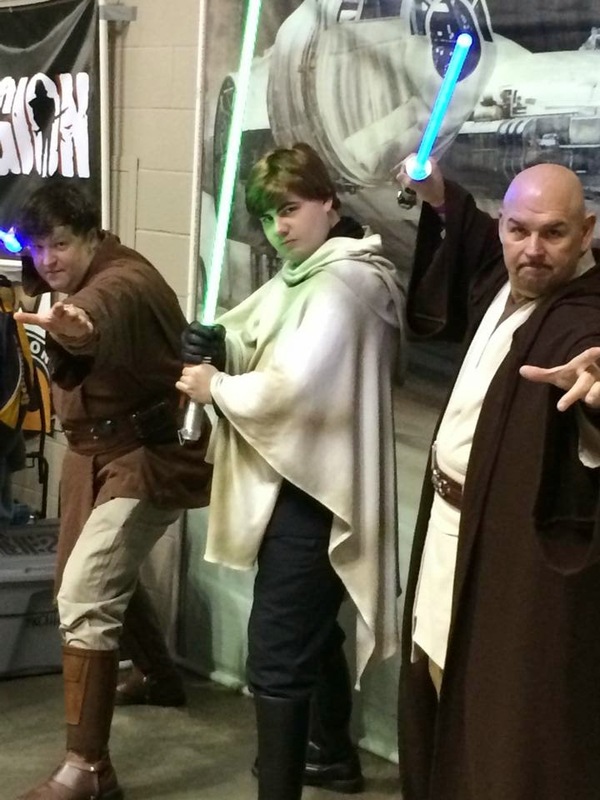 Some who pulled their costumes off perfectly, and some who just should not have been in anything spandex! Either way, they were all entertaining. After the contest we were done for the day. I think next year we will go again, as long as they have a bigger space for it. Heck, maybe I could even have my own booth there! I definitely have, and could make more, superhero items. 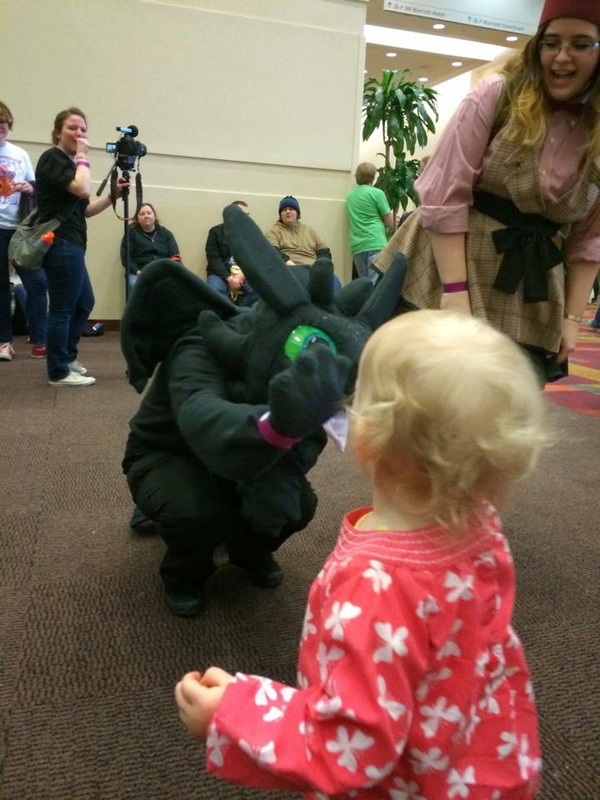 Lilly giving Toothless a high five! Ashley staying close to daddy. Here he is on stage, such charisma! 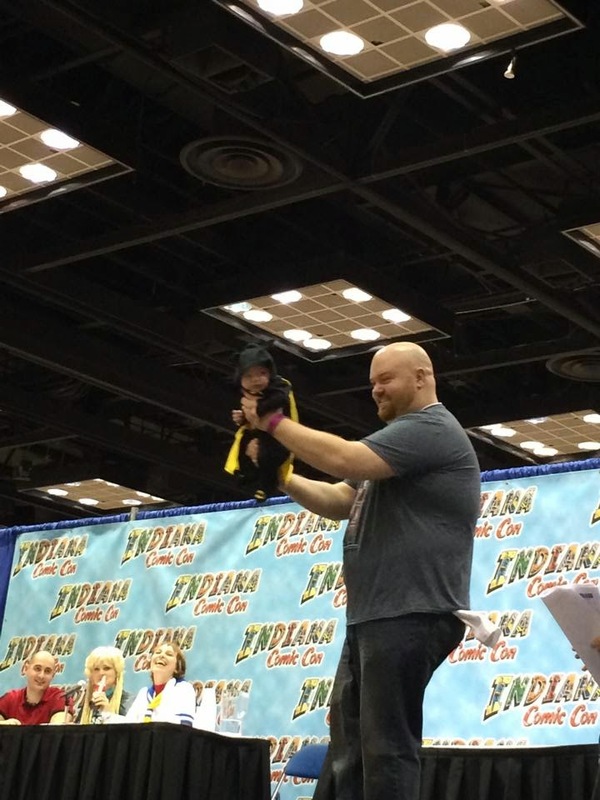 He yelled "I am BATMAN!" Too cute. Big Daddy. 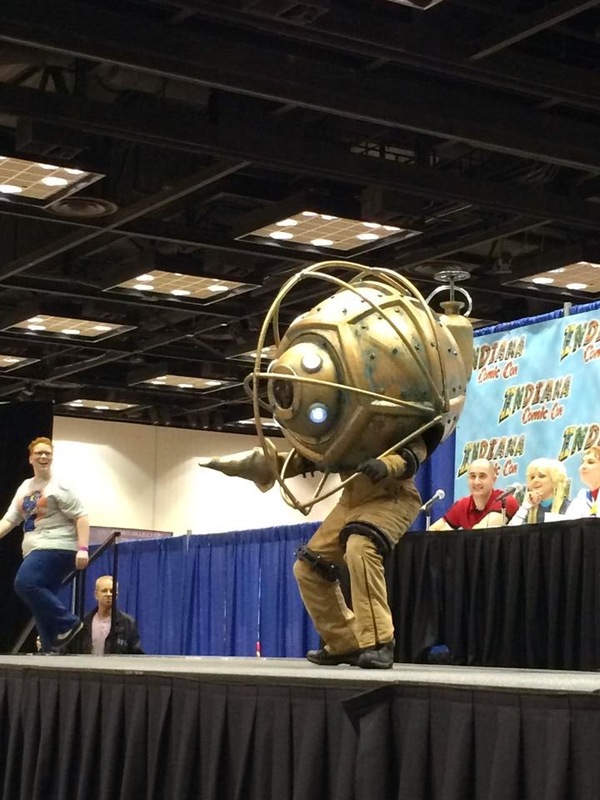 I don't know what he's from (my husband informed me it's Bioshock), but this is an awesome costume! 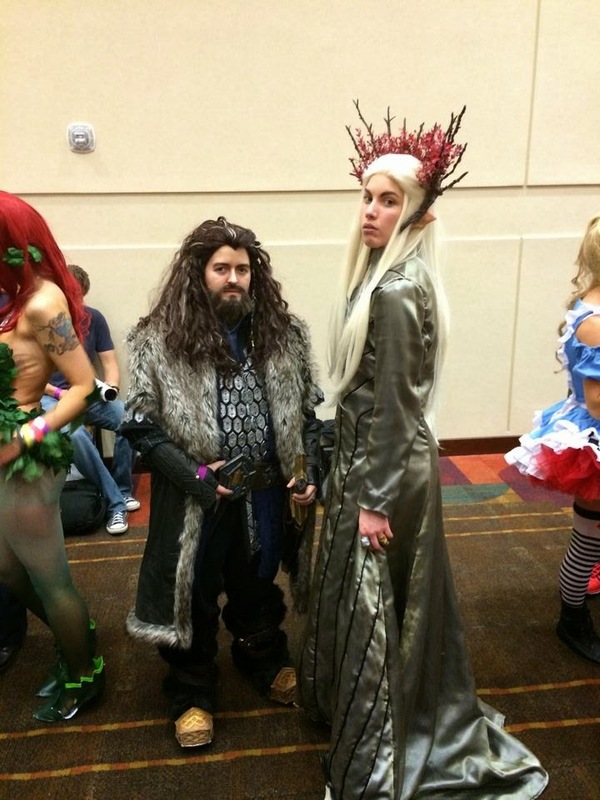 They won first place as characters from The Hobbit. Youngest entry was probably only a couple of weeks old. 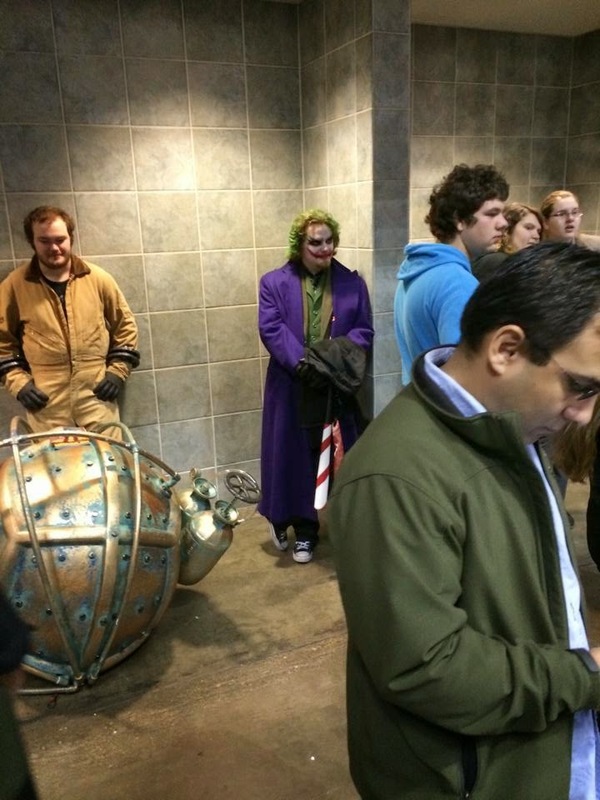 The joker, just hanging around. It's Sheldon and Amy! They won most accurate. 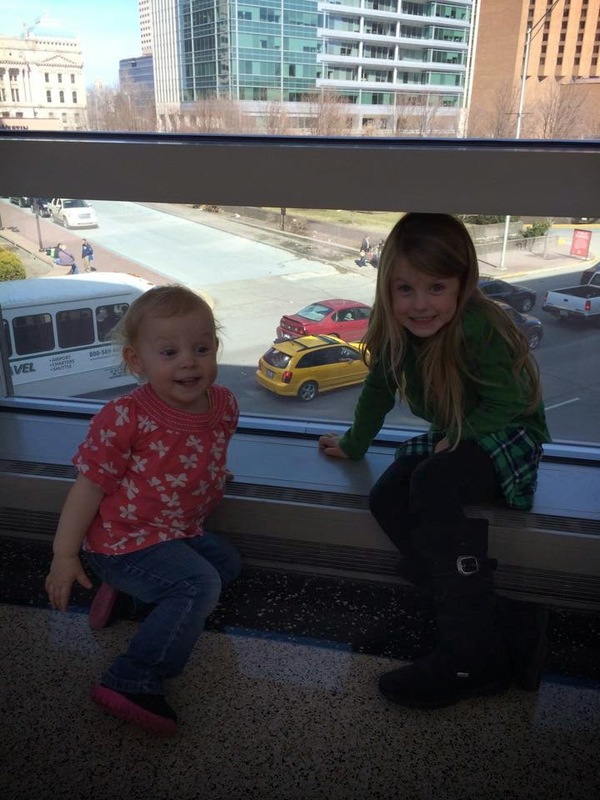 When Jason met in line, I brought the girls upstairs at the convention center, and let them run around to get out their energy. They stopped to look out at the city.